Eric C. Anderson, convicted in October 2015, is ordered to serve the prison term that was on hold pending a decision by the Maine Supreme Judicial Court. A city man convicted of two counts of drug-trafficking has lost his bid to get the Maine Supreme Judicial Court to overturn the jury’s verdict. 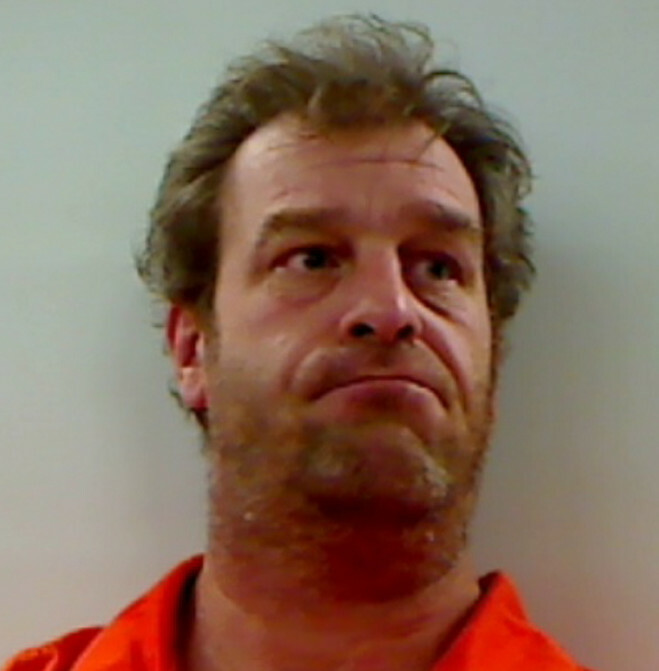 Eric C. Anderson, 46, maintained he was asleep on Feb. 20, 2015, upstairs in his Second Avenue home while others were selling heroin and cocaine downstairs. That’s when Maine Drug Enforcement Agency officers, who had been investigating alleged drug activity in the city, raided two separate residences, including Anderson’s, and arrested six people. The opinion issued in late December by Supreme Court Associate Justice Joseph Jabar on behalf of the full court addressed the three main appeal issues in turn: “whether (Anderson) was deprived of a fair trial by the state’s closing argument that referred to his prior bad acts of Feb. 11, whether the trial court erred by failing to properly instruct the jury regarding constructive possession and accomplice liability, (and) whether the evidence was sufficient to support his conviction.” The court decided all of those in the state’s favor. Oral arguments in the appeal were held in October 2016 in Portland, and the opinion was published in late December. Neither Darrick Banda, who represented Anderson, nor Assistant Attorney General Katie Sibley would comment on the decision. Banda also said via email on Tuesday that Anderson had yet to begin his sentence. Once the Maine Supreme Judicial Court issues a mandate with the result of the appeal and the case returns to the trial court, defendants have several days to report to jail. During the trial at the Capital Judicial Center, the judge acquitted Anderson of two additional counts of unlawful trafficking in scheduled drugs relating to an incident on Feb. 11, 2015, also at Anderson’s home. Anderson was convicted Oct. 27, 2015, of the other two counts of drug trafficking. During Anderson’s two-day trial, Kelly Hooper, who was an investigator for the Maine Drug Enforcement Agency, testified that several other people were downstairs when police entered the home on Feb. 20, 2015, and that she was told Anderson was upstairs sleeping. Among the items seized in the raid were heroin and cocaine. Another officer, Special Agent Daniel Ames, testified that two people found in the bathroom of the home apparently were trying to flush the drugs. A large photo of the toilet with small plastic bags containing a white substance floating in it was passed around the jury box. Anderson did not testify at his trial, telling the judge out of the jury’s hearing, “I prefer to remain silent, your honor.” He also did not address the judge at the sentencing hearing. Anderson had no prior felony conviction. In the appeal, Banda told the justices that illegal drug use, and particularly the flood of illegal drugs coming into Maine from out of state, is concerning to all. “The court needs to be concerned about how far government is willing to go to prosecute,” Banda said, saying Anderson’s conviction has “far-reaching applications in constructive possession and accomplice liability.” Banda used an analogy of parents of an adult child who lives at the home, is a drug addict and invites people over to engage in illegal drug activities there.